Posted on October 3, 2017 . 3 Comments. I am a trapeze artist. I’ve performed in circuses and cabarets worldwide for nearly fifteen years. 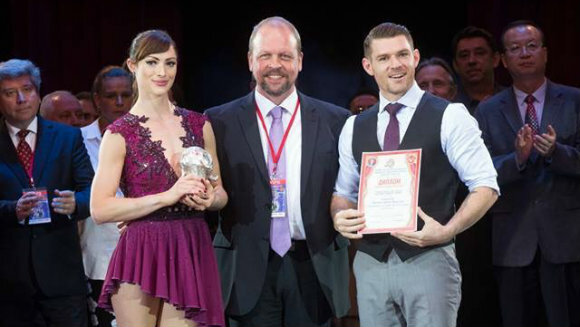 In March 2017, I approached Fabio Zonin at StrongFirst to create a program for strength and endurance in preparation for an international competition at the Nikulin Circus in Moscow that I would participate in with my partner and wife, Adrienne. First and foremost, Fabio’s program, combined with Pavel’s principles (hereafter referred to as “the program”) significantly increased our strength endurance and contributed to our success in the competition—but that is not the subject of this article. The program also facilitated implicit motor learning elements that I believe were key to winning silver in Moscow. These elements led to reduced stress and helped us consistently deliver in a high-pressure performance setting on multiple occasions over a week-long period. Although, as trapeze artists, we fall into a particular niche of skill development, we were able to improve techniques specific to our work by following fundamental principles hidden within StrongFirst programming. The principles of deliberate practice and desirable difficulties are widely researched and relevant to a range of sports and skills. I will demonstrate their applicability to the field of circus performance, by way of the StrongFirst program. An invitation to a circus competition is a great opportunity. 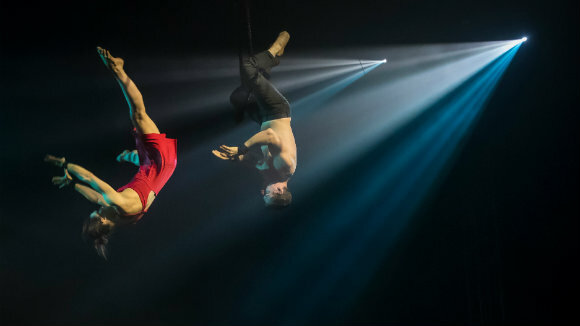 To perform at an internationally recognized competition in the capitol of Russia, the birthplace of some of the best circus artists in the world, is an absolute honor. It also represents a significant amount of pressure. Circus performance is physically and mentally challenging work, and that challenge increases with the difficulty of the skills involved. Ineffective training can be both demoralizing and potentially dangerous. In my experience, even high-level circus schools spend surprisingly little time on programming strength endurance, making it an underdeveloped part of performance preparation. Dynamic sections: These are the swinging and somersaulting sequences, which require a high degree of precision and power (the timecode for the dynamics in the video that I will reference during the article are A: 1:00, B: 3:40, C: 5:50). Grinds: These make up the majority of the act, which amounts to a total of six minutes of work. The grinds, while slower and more choreographed, limit the amount of actual rest during a performance. Prior to meeting Fabio and beginning the program, Adrienne and I had difficulty building the requisite strength endurance to train the dynamics we aimed to perform in Moscow. This was a huge problem. If we couldn’t train the dynamics individually, then attempting to put them into a six-minute act for a major competition seemed like a recipe for failure. During my years of working in circus, I have consistently sought new methods to improve my performance. 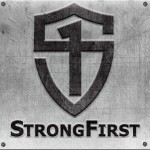 For this reason, StrongFirst had been on my radar for a while. After meeting Fabio in Italy at the StrongFirst Combat Course, I discussed the issue with him, as well as the potential of addressing our deficits with a StrongFirst Program. Pavel’s PlanStrong system draws upon Russian strength training principles, and while not obviously linked to circus performing, I believed the system applied to our needs. Addressed three different dynamics that varied in difficulty by length, effort, and complexity (as seen in the video above at the time codes). Could not vary in intensity, since Adrienne’s weight would remain mostly the same during our training for Moscow. Was structured to accommodate the specific rest needed to perform our grinds in the act. Accommodated our work/training schedule where our only training space was available during work hours. Before starting the program, we would likely have approached the months leading up to Moscow by training five days a week, attempting two repetitions of each dynamic sequence per training session. (This, of course, does not include training our grinds, but that isn’t the subject of this article.) For example, training our dynamics would look like AA, BB, CC. Taking inspiration from powerlifting’s three lifts—squat, bench press, and deadlift—Fabio treated each of our dynamics as an individual lift. Since he could not vary “intensity” (Adrienne’s weight), he eliminated it as a training variable, leaving only our total repetitions of each dynamic to vary over a two-month cycle. A main component of Pavel’s system is varying, or waving, the loads. To do this in our program required using our proposed weekly number of lifts (NL) as 6 per day (AABBCC) with 5 training sessions per week totalling 30 NL per week. Fabio took our NL and, together with the algorithm taught at the Plan Strong course, created a highly varied program that took us from 18 NL in the first week to 52 NL at our heaviest week of the cycle. With respect to our training schedule, Fabio suggested a grease-the-groove style approach so that the repetitions were spread throughout the day. Coincidentally, this also allowed for significant rest periods to stay fresh for each repetition. Starting any new strength program requires an adjustment period and, in the same way, this program was unlike any circus training we had previously done. The waved nature of the program did not allow us to concentrate on all our dynamics equally, but put more focus on one dynamic sequence at a time while backing off the others. This was the first of three crucial differences between how we prepared for Moscow and how we had prepared before. The second difference was that by the second month we had performed more total repetitions in a single session than we would have previously done on any dynamic sequence, yet due to the variable nature of the program, no two days were ever heavy on the same dynamic in the same way. For example, in this chart below, you can see that on Monday we trained our three dynamic sequences like this ABBBBBCCCCC. Over the course of the week, this approach gave an average of about four repetitions of each sequence per session. This was much more than we had ever done in a session or over the course of a week using our previous method. The third difference was that in the past we had always trained our dynamics grouped together (AA, BB, CC) in a two-hour training session so we could focus on each skill individually before training our grinds. Then, two weeks prior to a show, we would change our session to train the skills in the order presented in the act (ABC, ABC). Training in this style built familiarity with the skills initially (AA, BB, CC), then prepared us for the more specific order we would perform in (ABC, ABC). This made sense practically, and it was very comfortable for us to train in this manner. But our new program was structured differently in both the NL and their timing, which gave us a sense of physical and mental difficulty throughout the cycle. Fabio advised us to randomize our sessions. To do so, we used a random number generator app before training every repetition, assigning a number to each of our dynamic sequences (a die could also have been used, A=1, 2 B=3, 4 C=5, 6). We did this until we finished our prescribed daily NL. Thus, the dynamics for our sessions could look something like BABCCA rather than AABBCC. Along with the randomization within sessions, the grease-the-groove nature of the program meant there were large spaces of time between each dynamic (at times, our schedule gave us an hour between repetitions and sometimes just a few minutes). Each randomized repetition felt like starting from scratch, and gave the initial impression that we were not improving. This contrasted drastically to the feeling of doing repetition after repetition in a two-hour block. It was only in hindsight that we realized how beneficial this daily randomization was. More concentrated effort for each dynamic. More repetitions than ever before. A varied and random structure that led to a sense of difficulty and a feeling that at first we were not improving. The differences in the program soon resulted in objective improvement despite our subjective feelings of being off-track. Between the first and second month of the cycle, we noticed a shift in our dynamics: they were getting both physically and mentally easier. By this stage, we had accumulated more total repetitions of each individual dynamic than we previously thought possible, but never in a single session and rarely in close succession. This new approach gave us more opportunities to focus on the intricacies of each skill without ever doing so many that we became fatigued and unable to properly execute the skill. I propose that these differences in the training program led to our success in Moscow by giving our dynamics a quality called automaticity. In Fitt’s three-stage model of learning, automaticity is the final stage of any learned motor skill. The transition between the cognitive to associative and finally to the automatic stage of skill acquisition will happen with enough practice, but just because a skill is performed automatically doesn’t necessarily mean it is performed well. Be specifically designed to improve performance. While it may appear that consistent focus during many repetitions is the sole requirement for deliberate practice, there is another element to consider: desirable difficulties. This counterintuitive principle is well-researched but underutilized, and demonstrates that difficult conditions which apparently inhibit training ultimately deliver better results in performance. One such method of creating these difficulties in a learning environment is called interleaved or random practice. This approach calls for randomization of repetitions so that a person never performs the same task twice in a row. This stands in contrast to block practice (the more traditional approach to training), which involves a high number of repetitions of the same task over and over. When measuring how much improvement in training is actually repeated in performance, random conditions result in less skilled repetitions during training, but produce better skill transfer in later performance. This finding runs contrary to the conventional wisdom of motor learning, and resulted in the formation of the elaboration hypothesis to explain the findings. The elaboration hypothesis is based around the fact that changing the task after every repetition makes each task more distinct and, thus, more meaningful from each other, resulting in more “elaborate” mental distinctions or schemas. Using the program, written by Fabio based on Pavel’s StrongFirst principles, helped us immensely by increasing our strength endurance in our performance in Moscow. However, I believe the learning principles embodied by the StrongFirst program led us to win second place at the Nikulin Circus Festival with consistently high-quality performances and reduced stress in spite of the high-pressure environment. The program allowed us to do this by performing deliberate practice and focusing mindfully through a high volume of repetitions without ever fatiguing from overwork. More importantly, through the varied and random structure, the program introduced desirable difficulties that challenged us to make more elaborate and subtle distinctions between our skills, giving us a strong sense of confidence. 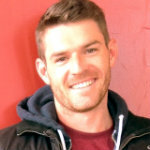 If you have a goal that you are pursuing, you might consider investing in a Plan Strong Custom Designed Strength Plan. As Pavel says, “You have to step a lot farther back to see the pattern in what appears to be chaos.” If strength truly is a skill, then it seems that StrongFirst isn’t just a highly intelligent system for strength building, it is also a unique and excellent way to “bring out some end result with maximum certainty and minimum outlay of energy,” even in a field as unique as circus performing. Congratulations on the awesome result ??? Excellent article and a really great approach to programming. Congrats to all. Firstly CONGRATS and extra for being From Oz! I’m heading to Denver later this month to learn Plan strong, this has only made me more excited!